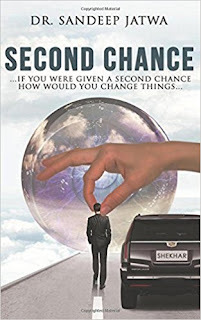 Second Chance is a fiction novel by Dr Sandeep Jatwa. A well written story which takes you to places and when I started reading this story, I was totally amazed by its sequence that I could not believe myself that I was already in page 75. After returning from hell, Shekhar Kpoor starts doing lot of good things. I am not disclosing them here as it would become a spoiler. The story has few characters and incidents. All of them were explained clearly in the initial part of the story and later as well making it a perfect read. Author deserves an applause for the efforts he has taken in presenting a good story which would make a person with soft corner to cry at least in 2 places minimum because it made me cry in few places which I would say is the success of this novel. Give it a read as it is worth your time and money. Book Review - Oh My Goddess!